As a leading voluntary organisation, Home-Start provides opportunities for volunteering to help disabled families with young children. 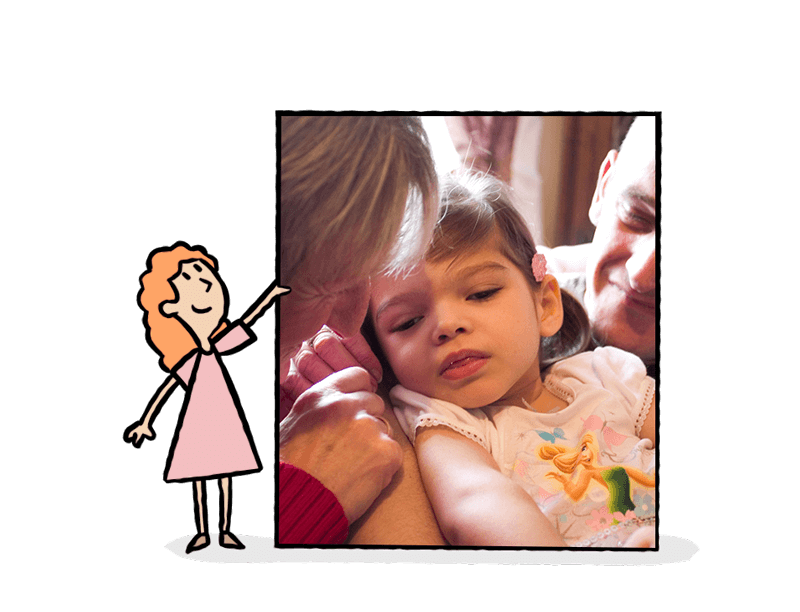 Many of the families who come to us for support have disabled children or parents. Our Bedfordshire charity assists and empowers those affected by physical disabilities directly in their home. It is estimated that there are between 1,582 – 2,848 children experiencing some form of disability in Central Bedfordshire and 1,485 – 2,673 in Luton (Pan-Bedfordshire Spotlight on Safeguarding Disabled Children, Thomas Coram Survey). A parent’s ability to cope with caring for a disabled child or parenting with their own disability is unique to the individual. There are lots of parents who cope well with support from their partner and relatives. Whereas others are not fortunate enough to have a support network around them. Just getting out and about and taking part in the regular things that other families do can be a struggle. For example, going to toddler groups can be a problem with a child with a disability. Practically pushing wheelchairs and also perhaps a buggy with a baby can make it easier to just stay at home. There are also psychological considerations that can affect families. It is not uncommon for parents to feel that they do not fit in with other parents whose children do not have disabilities. After all, their journey is very different, and they may think that they lack shared experiences. Understandably, life can be worrying. Those who are volunteering to help disabled children often report the parent’s concern for how their child is developing. They worry that their child may never be able to be independent and fear for their long-term future. Many parents are tired because caring for their child is 24/7 and they have very little respite from physical care. Sometimes families have more than one child or parent with physical disabilities. This can be overwhelming emotionally and physically demanding for them as caregivers. Some of the parents we support are living with disabilities such as MS, chronic fatigue syndrome and fibromyalgia. Being a parent without such conditions can be very tiring and doubly so if you have a chronic illness. It can leave parents without the energy to do more than just the basic tasks with their children. This is where our volunteers come in. Volunteering to help disabled children and parents is an excellent way to support families in your community. Home-Start volunteers really do make a difference, offering assistance, encouragement and empowering families through hard times. A Home-Start Volunteer Supporting A Father & Child. What Does Volunteer Work Helping Disabled Families Involve? “The needs of disabled children, young people and their families are unique to them, often complex, and change over time” (Luton’s Joint Strategy Needs Assesment). As a charity, we get asked for help for many reasons and our volunteer work helping disabled families is unique to each family. Home-Start volunteers offer practical and emotional support, assisting fragile families until they become strong again. Helping with attending medical appointments is a simple but vital role in volunteer work helping disabled families. There can be lots of medical appointments, often at different locations. Taking a child plus brothers and sisters to medical appointments on their own can be hard and stressful. Listening to problems and offering advice. You may have personal experience of having your own children with disabilities. Although everyone is different, this could mean you have some understanding of others who are in a similar situation. By volunteering to help disabled families, you can make the most of your experience by providing support and reassurance. Mary and John have two children. The youngest Sophie, has a disability, cannot walk independently, sleeps for a short period of time only and needs continual watching and assistance. “My volunteer has been an absolute constant for me and my family through tumultuous times. She has helped me with daily tasks that most families would take for granted like a weekly shop, as I cannot put Sophie in a trolley. She accompanied me to medical appointments and often takes Sophie out in her wheelchair so I can get things done. Sometimes it is just a question of Sophie being held to give my arms a rest after carrying her around. My volunteer has also been fantastic with our son and plays games with him. I feel he needs the attention too and having someone else give him the time and care that he craves making him feel special, is wonderful. If you have parenting experience, you can become a Home-Start volunteer. We welcome parents and grandparents to join our team doing voluntary work across Central Bedfordshire and Luton. Training is provided, to find out more please follow the link below.